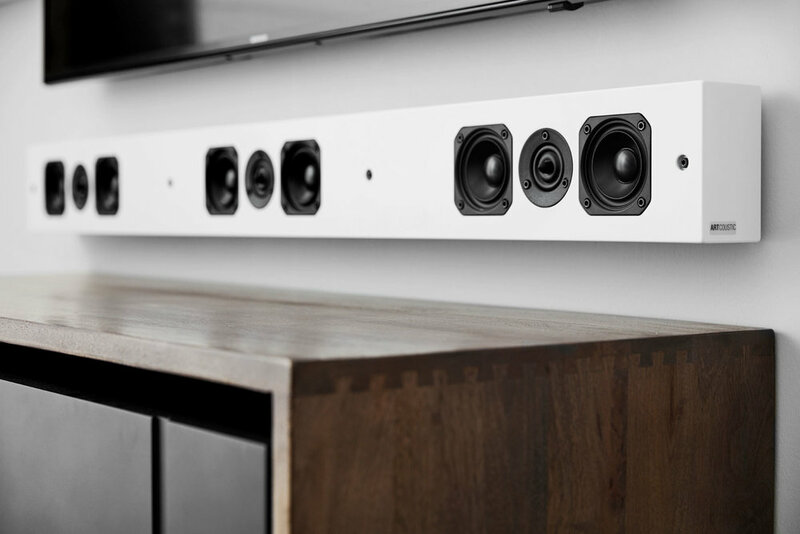 The SL Multi Soundbar can be used as a single LCR loudspeaker, or for more powerful systems, used as a single mono centre channel. The standard sizes are designed to compliment today’s flat screens. Bespoke width options are also available. Artcoustic pioneered the first concept of an all-in-one LCR (left, centre and right) soundbar as far back as 1997. The SL version is an evolution of this classic loudspeaker and is available in four standard versions, with the option to go bespoke. All feature clean, discrete aesthetics with high output timbre-matched performance. All SL Multi Soundbars are VESA compatible.